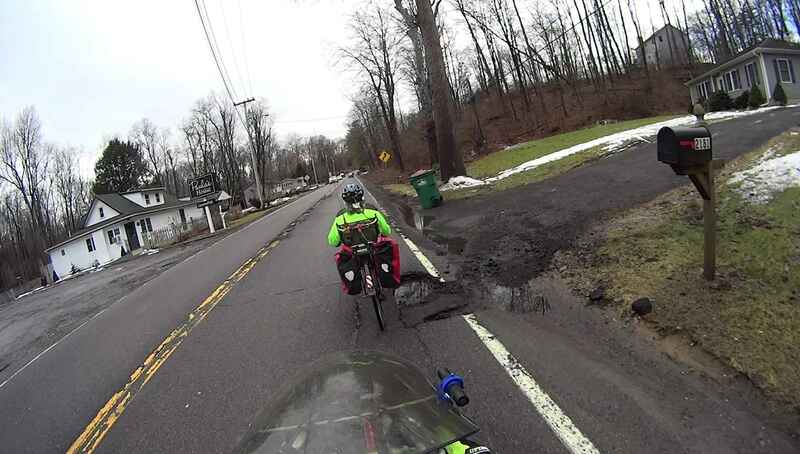 The pavement along Rt 376 between markers 1111 and 1108 has deteriorated into deep chasms, potholes, and fissures. This section of NYS Bicycle Route 9 poses an immediate danger to both cyclists and motorists, so I reported all these to NYS DOT and, a day later, a crew traveled along Rt 376 shoveling cold patch into many of the holes and flattening the lumps more-or-less parallel to the road surface: it’s now driveable, if still a hazard for bicycle traffic. Hope springs eternal; after all, they did repave Rt 376 around Red Oaks Mill. 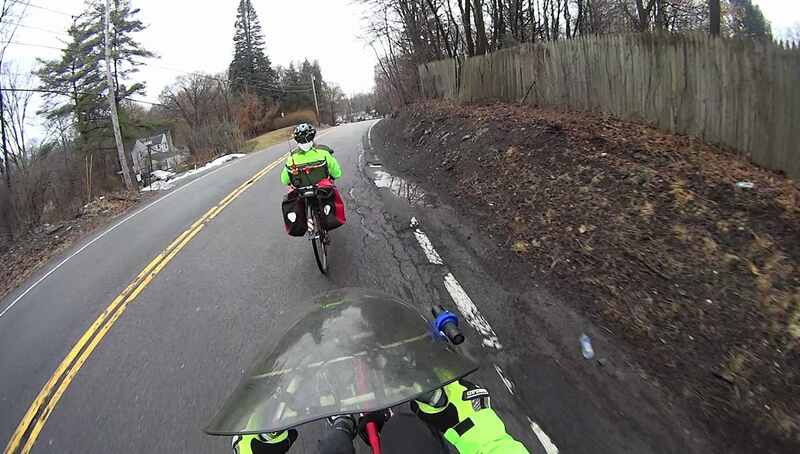 This entry was posted on 2018-03-03, 07:06 and is filed under Recumbent Bicycling. You can follow any responses to this entry through RSS 2.0. Both comments and pings are currently closed.